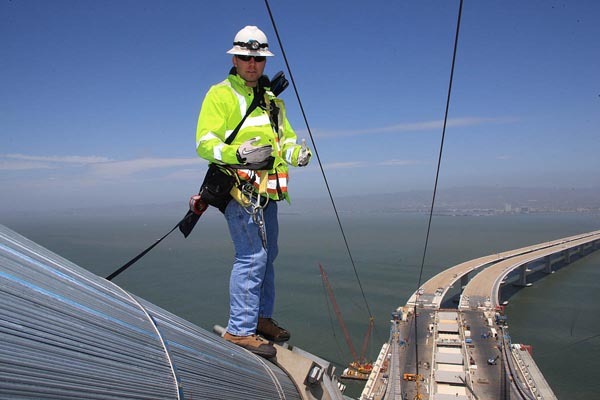 Photographer Bill Hall captured Caltrans Transportation Engineer Matt Bruce inspecting the cable band installation of the San Francisco-Oakland Bay Bridge. American Bridge Fluor completed the cable band installation Matt inspected atop the new main cable of the self-anchored suspension structure. 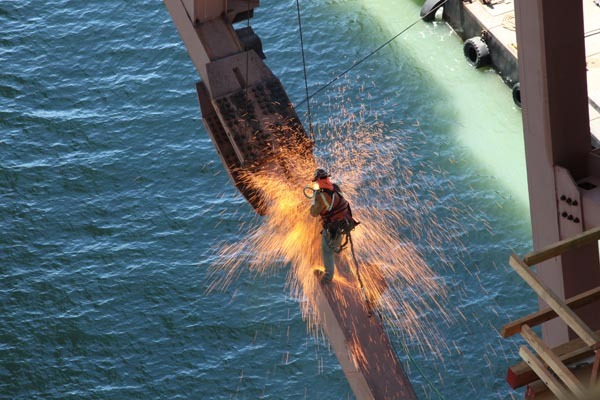 Engineer Martin Chandrawinata, on the new San Francisco-Oakland Bay Bridge, photographed an iron worker as he lance cut a section of the temporary truss on the self-anchored suspension structure. This truss carried the load of the bridge prior to the transfer to the cable.